Oz Combined Realty is an independent real estate agency with 25 years of experience in helping over 2,300 people with their real estate needs. Located in Surry Hills and servicing the Eastern Suburbs and City areas. Driven by a desire to achieve the best outcomes for their clients they derive most of their business from referrals. The Oz Realty Strategy is a cost effective way of selling your property in any market with proven results. 100% record breaking sales figures. I do not achieve this by the auction process. I firmly believe if you are to auction your property, you should just choose the cheapest agent as the result will ultimately be the same. If you are interested in achieving a lot more for your property please contact me to find out more about my no nonsense approach. As you will see, many of our clients tried to sell with other agents only to lose thousands of dollars on marketing with no result and many lost months. - Oz Combined Realty Get's 47.6 Additional buyer enquires (after properties have already been exposed to the market) for each sales campaign which allows us to sell our clients properties for more. - Oz Combined Realty obtains 8.8% more on the final selling price (compared to the highest offers put forward by other agents, often not even in writing). - Oz Combined Realty closes an unconditional sale in 27.4 days on average. Anthony Hersch - Tried to sell with another well known Double Bay agent for several months and lost $6,500 on advertising with best offer of $974,000. We sold his place for $1,150,000. This is over $170,000 more for the seller. 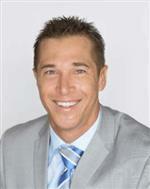 Alan Keys - Tried to sell with another agent and spent over $6,000 to find a buyer. After 2 months the best offer was $1.5m and no sale. We sold it for $1,640,000 ($140,000 more than the other agents best offer) and with a marketing budget 72% less than the other agent. Vily Veingold - Tried to sell with another agent again spent several months on the market and best offer he got was $945,000. We sold it for $1,050,000 in just over 6 weeks after the property was extensively advertised. You will be glad you decided to speak with me about your property sale. Thank you for taking the time to read this proposal and I look forward to personally speaking with you soon.